Find insider advice and local secrets in our Costa Rica travel blog. John Rabenau (co-founder) shares his knowledge to help you discover the beauty and secrets of one of the most magical places on earth…all while ensuring your trip is a breeze. 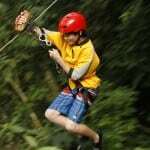 Let this expert advice help you plan your trip whether you’re interested in a Costa Rica family vacation, honeymoon, adventure vacation, or another itinerary that would better suit your needs.